Increasingly universities are viewed as “businesses” and “brands” operating in a competitive global marketplace where differentiation plays a key role in attracting students and funding. Consequently, universities and other educational institutions across the globe are looking for ways in which to distinguish themselves. from the. Corporate branding can alleviate universities from a complex set of multifaceted features, which include, amongst others, accreditation, tuition fees, positions in league tables and status in the global marketplace and reinforce an institution’s unique selling point to multiple stakeholders, such as students, academics and funders. Thus, a strong corporate brand can support, for example, charging higher tuition fees, recruiting leading academics and attracting students from underrepresented groups. Nevertheless, higher education [HE], unlike the private sector, has typically less resources to implement branding strategies and has a tendency to be internally focused, unsure what is important for their brand and stakeholders. Despite this move towards “marketisation”, it is unclear whether corporate branding has allowed universities to develop authentic, convincing brand identities, which would help to alleviate these pressures. Further, the link between corporate brand identity and shared values amongst stakeholders has been extensively documented as it is an organisation’s “values” that should correspond with the emotional needs of both employees and external stakeholders. In particular, there appears to be a gap in knowledge concerning corporate branding in universities in both the corporate branding and higher education (HE) literature. The limited research in corporate branding and HE highlights the complexity and challenges of managing multiple sub-brands within a corporate brand and call for more research in this area. 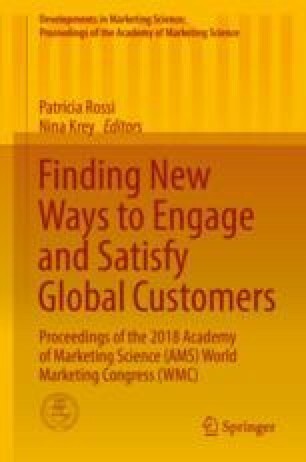 Responding to the identified gap in the body of knowledge, it is proposed to develop a model that demonstrates how a university identity can be perceived more positively which in turn contributes to a strong brand image more readily understood in broader terms and wider markets. This model can be applied to different academic disciplines within universities, where there is a mix of subcultures and specialisms, and support the process of developing appropriate branding strategies.